Artsy. Colorful. Unique. 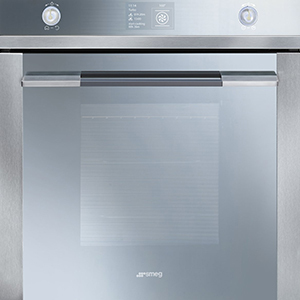 Adding Smeg appliances to your Edmonton kitchen can turn hum-drum into fun. 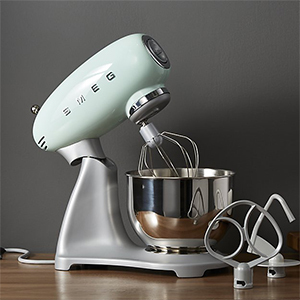 Smeg's domestic appliances shine with retro-curves and quirky colors. 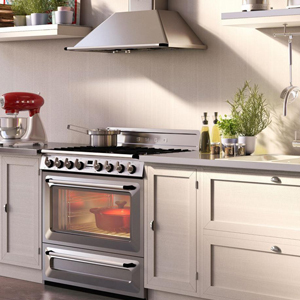 As appealing as the exteriors are, it is the appliances' fine engineering that make the long-lived equipment good value for your money. 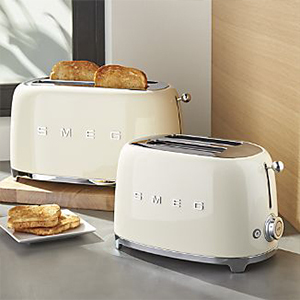 Smeg's curvy toasters, kettles, mixers and blenders can decorate your kitchen counter with splashes of personality and unusual color, or they can be a classic, sleek chrome or black-and-white addition to your décor. 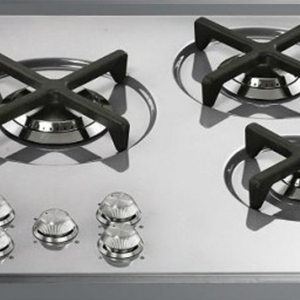 Their retro shapes are reminiscent of the 1950s, but their mechanisms are pure 21st century for maximum performance during food preparation. 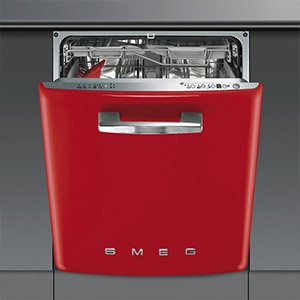 Smeg's refrigerators, ranges & stoves, and hood fans may concentrate on the design aesthetics, but the line is distinguished also by its attention to reliability, safety, fuel efficiency and the long life of each piece. 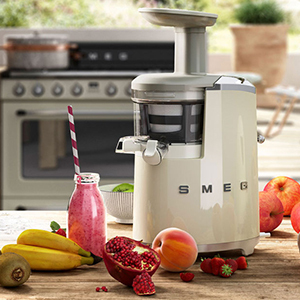 Your everyday cooking experience becomes more fun than duty with high performance Smeg appliances. 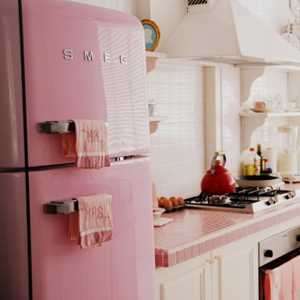 Smeg and Dolce & Gabbana have teamed up to produce refrigerators that are pure art. 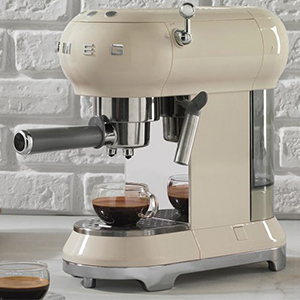 The line is called the FAB 28 and consists of 100 exclusive pieces that incorporate the Smeg technology and Dolce & Gabbana's creativity. The result is one-of-a-kind art that transforms your kitchen into a delicious gallery. 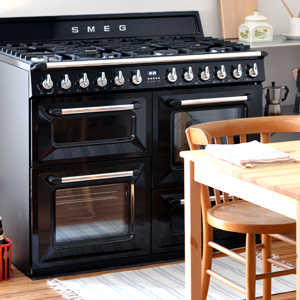 You can add new life to your existing kitchen by purchasing one or a few Smeg appliances. 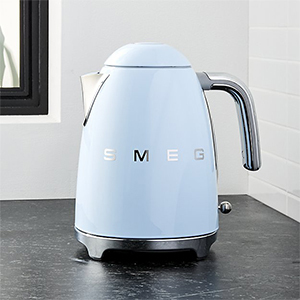 However, a newly renovated or constructed Edmonton kitchen that features only Smeg's fun, but functional, appliances can push your kitchen creativity to new levels of food preparation and presentation.